If you have decided to finally buy your first Indianapolis, IN home, you likely are funneling away your savings away in hopes of having enough of a down payment. Don’t forget about the last round of expenses in your home purchase – the closing costs. Closing costs typically amount to 3% to 6% of the purchase price. With closing costs increasing last year a typical $200,000 loan has an average of $2,539 in closing costs, according to Bankrate.com. While some closing costs are negotiable, not all are. Check your lender’s good-faith estimate for an itemized list of fees. 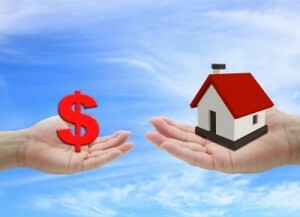 Comparison shop with other lenders, if necessary, to lower your costs. Here are some added ways to avoid excess expenses at the closing table. Loyalty Programs. Some banks will offer their customers help with closing costs, if they use the bank to finance their purchase. Close at the end of the month. One of the simplest ways to reduce closing costs is to schedule it at the end of the month. When you close at the end of the month you only have to pay interest for the remaining days in the month. Have the seller help. Some loans will allow sellers to contribute up to 6% of the sale price to the buyer as a closing cost credit. It’s worth a try to see if your seller will contribute in order to seal the deal. Wrap the closing costs into the loan. You will likely get charged a bit by your lender to do so but it is possible to wrap your closing costs into your loan. Its a way to get the house with less cash upfront. Military or Union? Military members have closing-cost benefits that are often overlooked. Many unions also offer discounts or rebates so it is work looking into, if you are a member. As experienced professionals who have helped many Indianapolis, IN residents buy their first homes we are here should you have a question on the mortgage or buying process. So whenever you’re ready to buy a home in Indianapolis, IN, please contact a Indianapolis, IN real estate agent. We hope to earn your business!